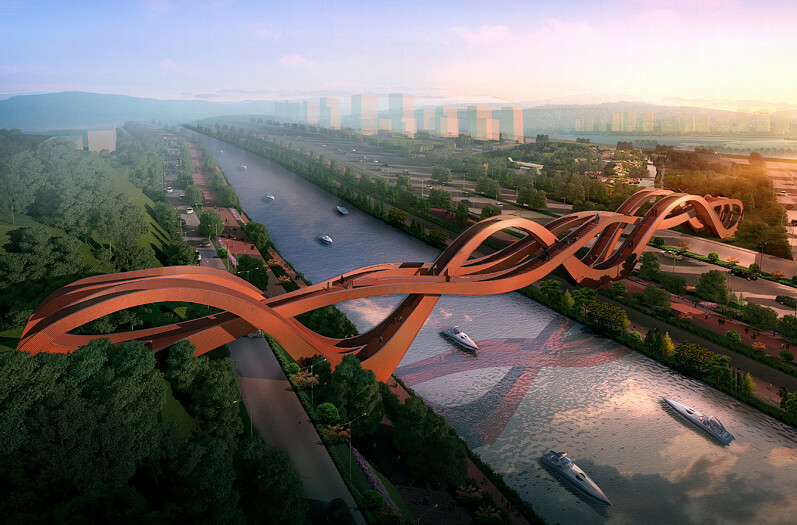 NEXT Architects is known for designing interesting bridges, but its latest creation just might take the cake. 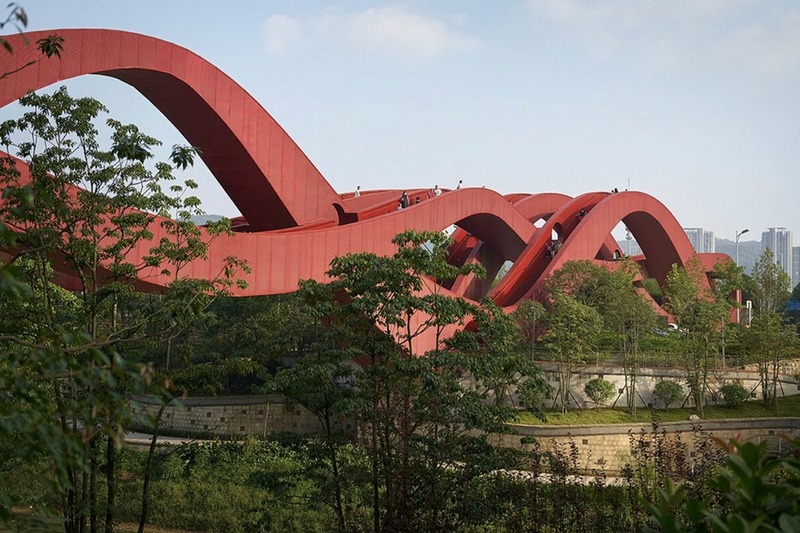 Called Lucky Knot Bridge, the undulating steel structure is located in Changsha, the capital of China’s Hunan Province, and has been turning heads since it was completed last week. 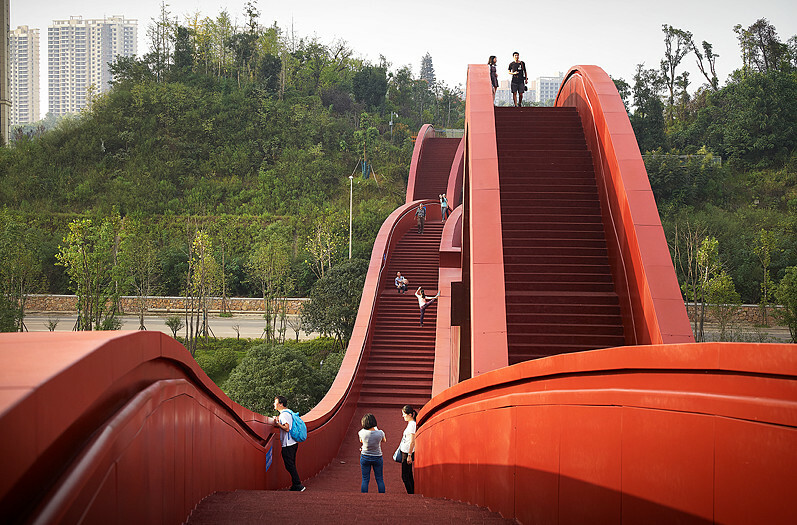 At 185 meters long and 24 meters high, the bright red bridge is certainly a sight to behold — and for good reason. 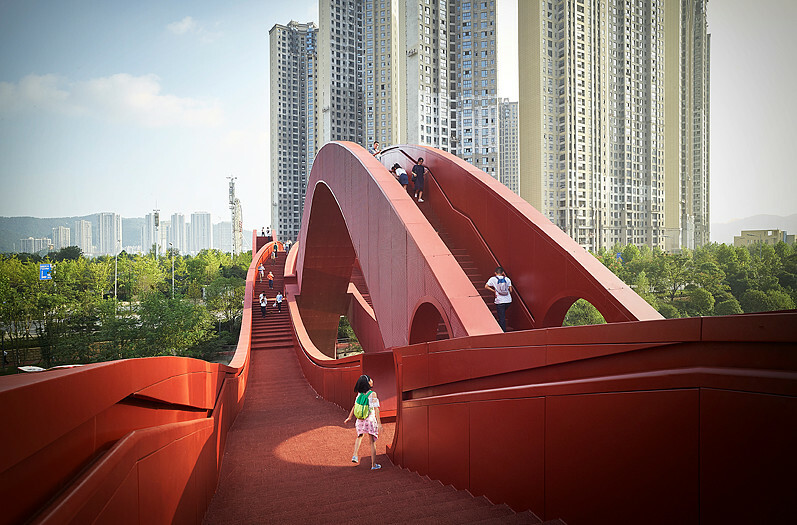 According to NEXT Architects, whose Amsterdam and Beijing offices teamed up to create it, Changsha is developing quickly, and it was important for the bridge to stand out against that backdrop. “The city is growing and changing rapidly. This context called for a unique gesture to inspire passers-by,” explains Michel Schreinemachers, a partner at NEXT Architects’ Amsterdam office, in a project brief. It was also important for the bridge to be culturally meaningful. To achieve that, NEXT Architects looked to Chinese knotting art for design inspiration. “In the ancient decorative Chinese folk art, the knot symbolises luck and prosperity,” says John van de Water, a partner at NEXT Architects’ Beijing office, in the same project brief. The bridge’s unusual look also draws on “the principle of the Mobius ring.” Never heard of a Mobius ring? It’s a surface with only one side and only one boundary — one of the simplest ways to make one is to take a strip of paper, give it a half twist and then join the ends of the paper to form a loop. In total, the bridge has three pathways, all of which are only accessible to pedestrians. It spans the Dragon King Harbor River, and offers spectacular views of that body of water, as well Meixi Lake, Changsha and the surrounding mountains. And if that’s not enough, make a visit at night – NEXT Architects says that when it’s dark out the bridge will play host to an LED light show.